Welcome to another Sunday Music Muse post. 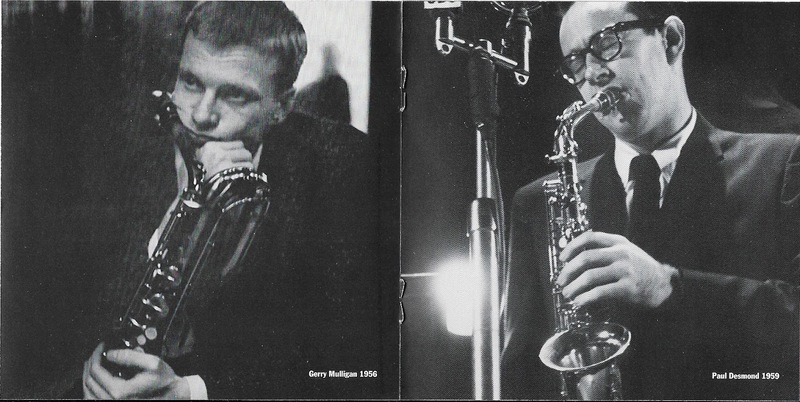 This week offers a series of double doses of baritone sax goodness, in the person of Gerry Mulligan, on a legendary label, with a legendary producer. 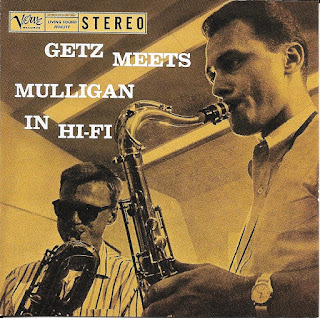 First is Getz Meets Mulligan in Hi-Fi, which finds another giant of the saxophone, Stan Getz, joining Gerry Mulligan for a October 1957 session produce by Norman Granz for the Verve label. 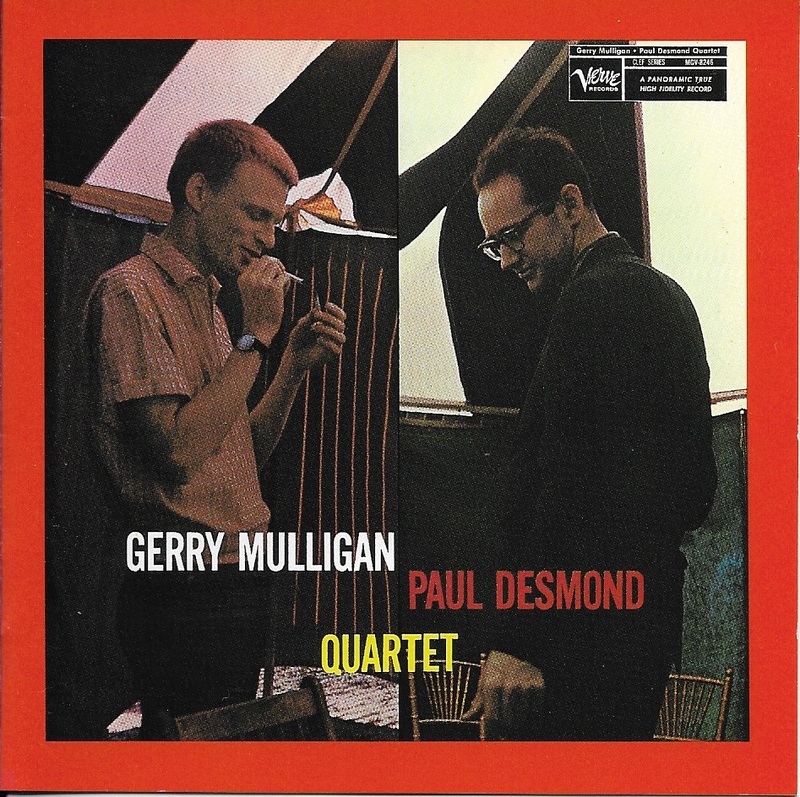 You can't get more steeped in jazz legacy than that. 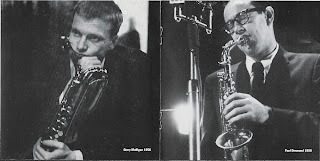 They even swapped horn on the last three tunes, so you get to hear both play tenor and baritone saxophones. 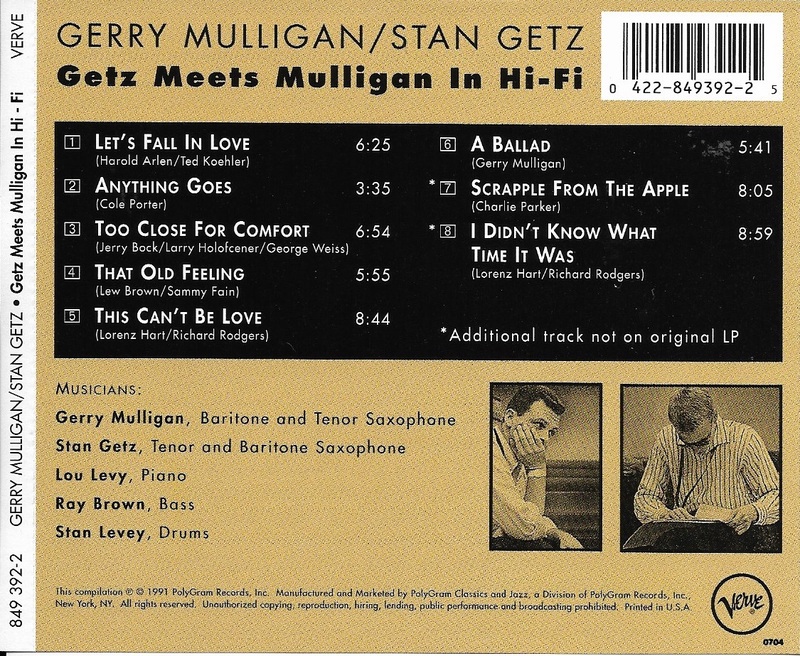 This re-release also includes tunes not on the original album. That's nice treat. 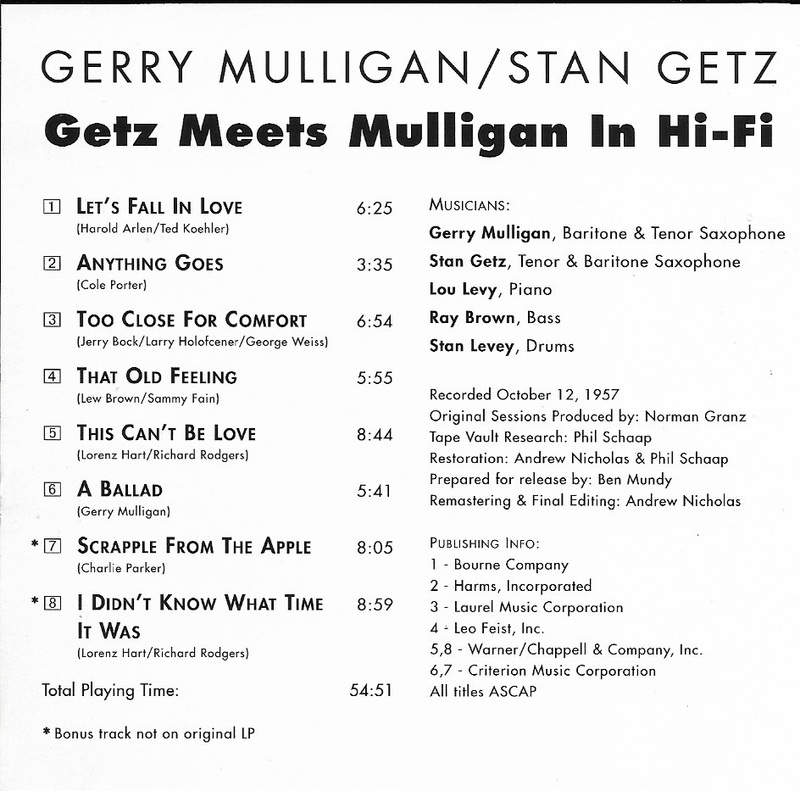 I'll have to review my Jazz history, Mulligan and Getz are considered part the West Coast jazz of that period considered softer that the East coast player. They sound good to me. 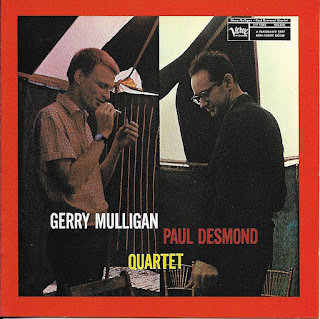 Next up is the Gerry Mulligan Paul Desmond Quartet, recorded in August of 1957. 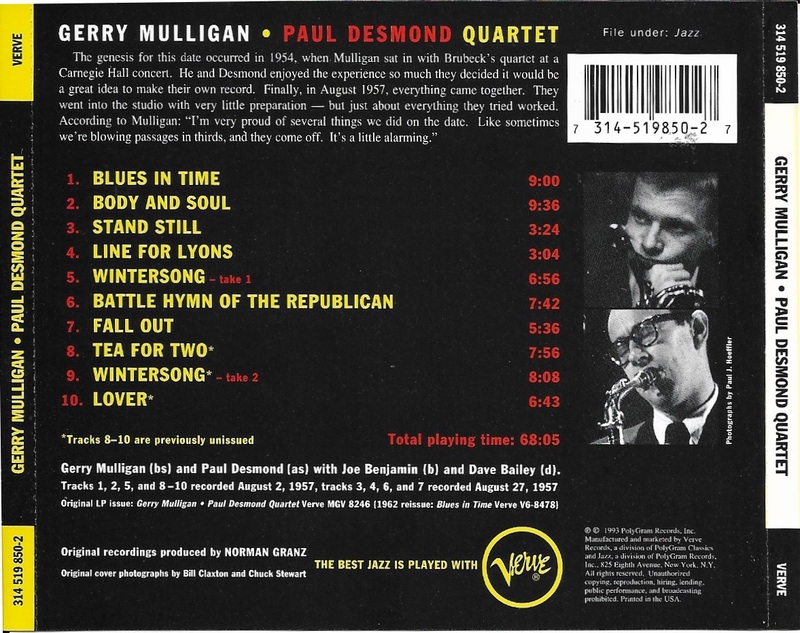 Again, this of product of Verve, and Norman Granz. 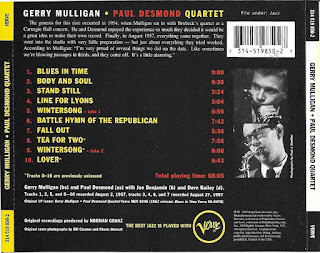 The liner notes states Mulligan and Desmond first played together when Desmond sat in with the Dave Brubeck Quartet, who Desmond famously played with, at Carnegie Hall (NYC) in 1954. Mulligan said they formed "a natural affinity". It wasn't until this 1957 date the that affinity was fully explored. Lucky of all music fans it was. Here's another original tune is part of my Warped Sky - Stray Clouds project. Warped Sky - Stray Cloud, is a combination of songs from old tapes and new renditions of original tunes written and played by me in the 1980s. Today's tune is Without You - Mystical Heart. This started are just a collection of chords. Somehow I had two different songs with the title "Without You", one with lyrics and this one without. This video has my first complete version played against a Band in a Box backing tracking. 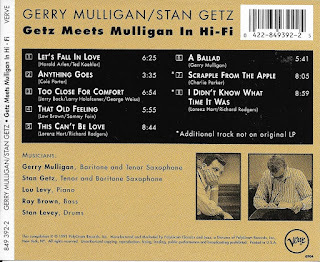 A feature in Band in A Box suggest song titles based on the chord and it suggested "Mystical Heart", it's not a bad title, so I added it. 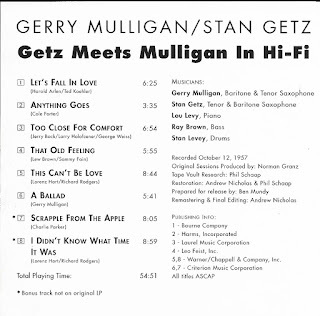 Another feature is the video of the real musician playing the musical part, in this case the guitar solo. It's curious my ballads start to sound Country, which I never really like. That may be the Band the Band tracks style. Still, it's another song off by incomplete list. For added plus I used an old illustration of mine in the video.